You have a question? We have the answers! Need to get in touch? No problem, we're here for you. This guide will bring you through exactly how we use Planio ourselves internally for product management. The reason is that everyone does product management slightly differently, so we didn’t want to give a “one-size-fits-all” guide. Instead, you’ll get some ideas from how we do it that you can adapt to your own situation. Let’s take a second to consider the product management environment at Planio. We have a mature product that’s been around for over 8 years. Thousands of organizations worldwide use Planio on a daily basis. We’re constantly adding new features, refining existing ones, improving our codebase and fixing security issues as they arise. But we have an interesting twist in our product management. Planio is based on open-source Redmine, so product decisions made by the open source community impact our product roadmap. In short, we maintain Planio as a long-lived fork of the Redmine project that remains compatible with Redmine. In this guide, we’ll take an example of a product launch that we had last year. 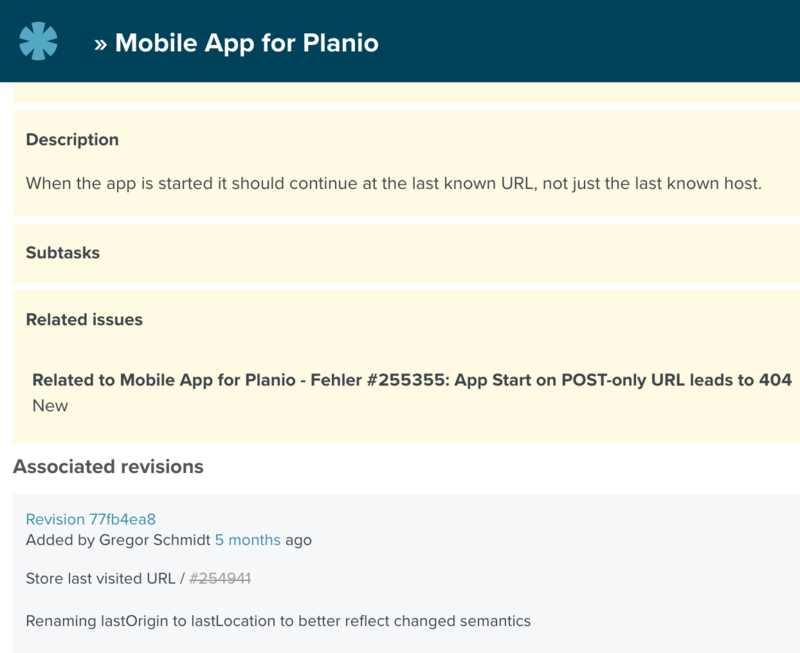 We rolled out an Android and iOS app for Planio. 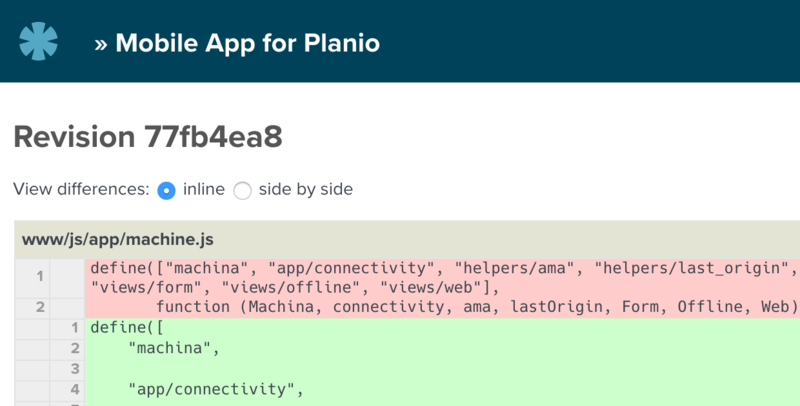 We’ll dig into how we used Planio as our product management tool. Issues in Planio are the atomic unit for organization in Planio. You can think of them as work packages, user stories or tasks. In our case, a developer created an issue for individual stories. Then, he’d update the issue with notes based on his progress. He might link to related issues in the case of a specific bug. He often included references to any Git commits that were relevant to the issue. 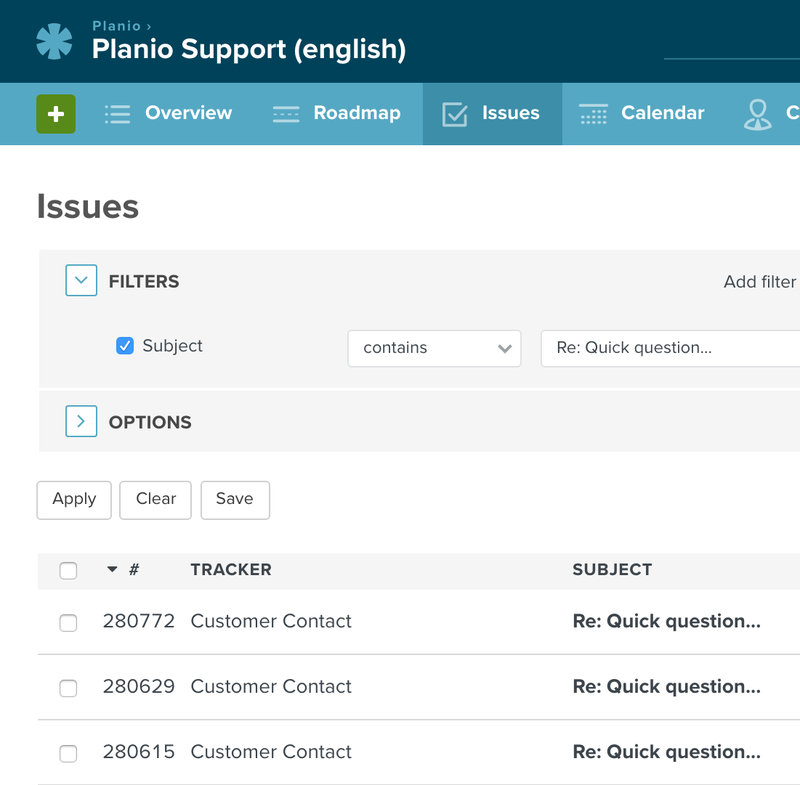 As you can see above, the beauty of Planio issues in this case is that you have a clear overview in one place. You can see any blockers that need to be resolved. You can jump right to any related information with a single click instead of trying to search for it. As a product manager, you don’t just operate at the task level. You need to be able to zoom out to see the bigger picture. Perhaps you need to give a report to the executives in the C-suite on product. Or you need to sit down with sales and give them insights into where the product is going over the next couple of sprints. So, in the screenshot, you can see an overview of all the issues that go into the milestone. 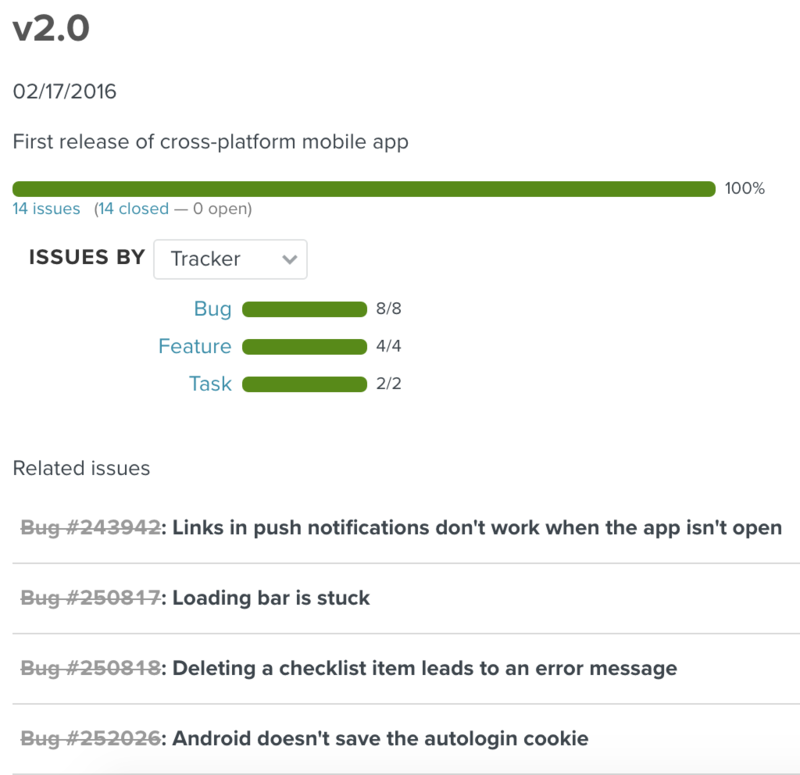 In this example, you can see that the majority of the issues are focused on solving bugs. You can see at a glance that this milestone is at 100% completion. As a product manager, you’ll often be using an agile framework such as Scrum or Kanban. In the above project, we didn’t strictly follow a framework such as Scrum, but let’s go through the Agile approach you could use on such a project. The swimlanes are great for seeing whether one team member is overloaded with too much work. This chart gives you insights into how you’re doing. 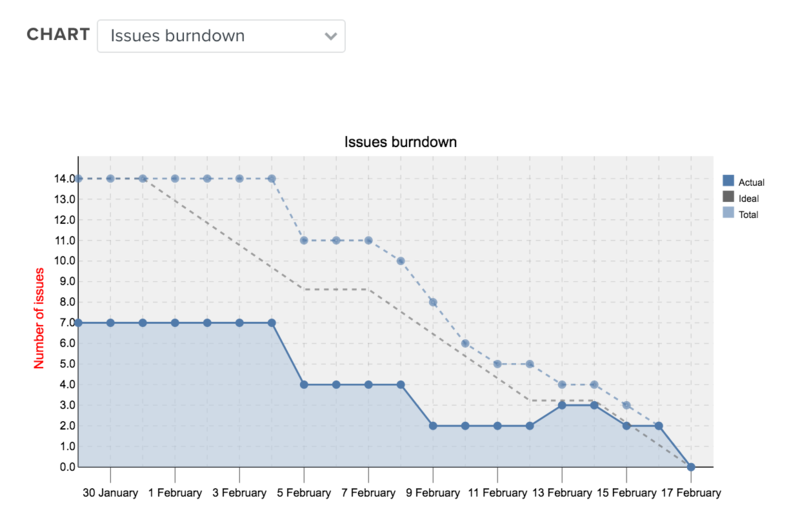 You can see that this sprint pretty much tracked the ideal burn-down rate. New issues were only added once, so there wasn’t much unexpected work added on. Based on that chart, we can say that the sprint went very well indeed! 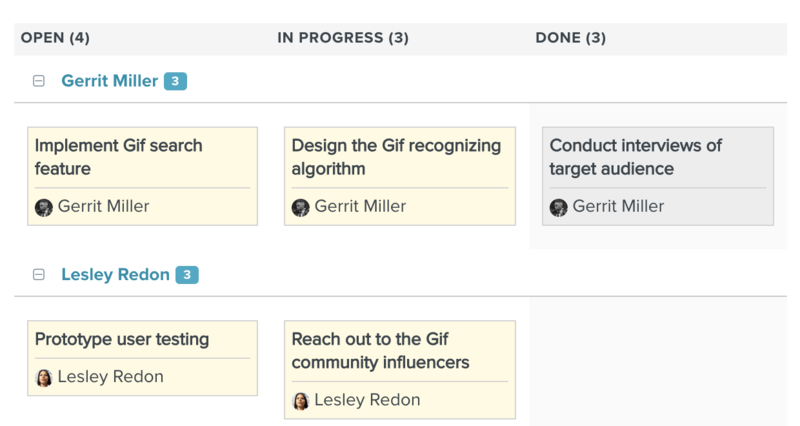 So far, we’ve focused on how we use the task-level features in Planio for product management. The tactical task-level work is a big part of product management. You’ll spend a lot of time deciding which stories go into the next sprint, or you’ll be estimating story sizes and helping team members get through barriers and blockers to finish specific sprint items. But there’s more to product management than Agile boards and issues. You’ll also need to spend time understanding the market. You’ll do competitor reviews. You’ll track feature requests. You’ll sit down to interview people as part of your research into your users. In our experience, all these insights and findings get lost in a sea of Word docs, PowerPoint presentations, emails and scraps of paper. The problem is that your team won’t have a clear understanding of all this information, and you’ll find that you aren’t on the same page when discussing the product. You might have had a breakthrough from talking to customers, but if your team doesn’t understand that breakthrough, they might not understand the decisions you want to make on that basis. At Planio we use the Wiki and Sparkleshare for sharing strategic information. Sparkleshare is a synced folder on your desktop that you can use to store relevant files. For example, you could store a PowerPoint presentation that you gave to senior management, and everyone on your team will have access to it. We use the wiki for storing more refined information, whereas Sparkleshare is more a collection of documents. For example, you could store your product vision, your key insights from user testing and your key ideas driving your product in your wiki. The fact that this information is in the wiki in a structured format means that everyone in your organization from sales to customer support can find and learn from the insights and ideas of others. It’s also great when you’re onboarding new team members. They can learn much of the implicit knowledge of the organization by reading through the wiki. Some organizations suffer from operations, product management and customer support being siloed functions within the organization. Customer service uses a help desk tool that is separate to operation’s task management tool which is separate to product management’s tools. So, a customer sends an email requesting a custom feature that customer support forwards to operations that forwards to the product team, which adds it as a backlog item. The glue holding all of this together ends up being email, and nobody can quite find out what exactly the customer wanted to achieve from that customization. We use Planio to handle all of these functions, and we’ve found that it’s amazing to have all this information in one system. We use the Help Desk to handle customer support requests, and we can reference a specific customer request in a backlog item in the product project. 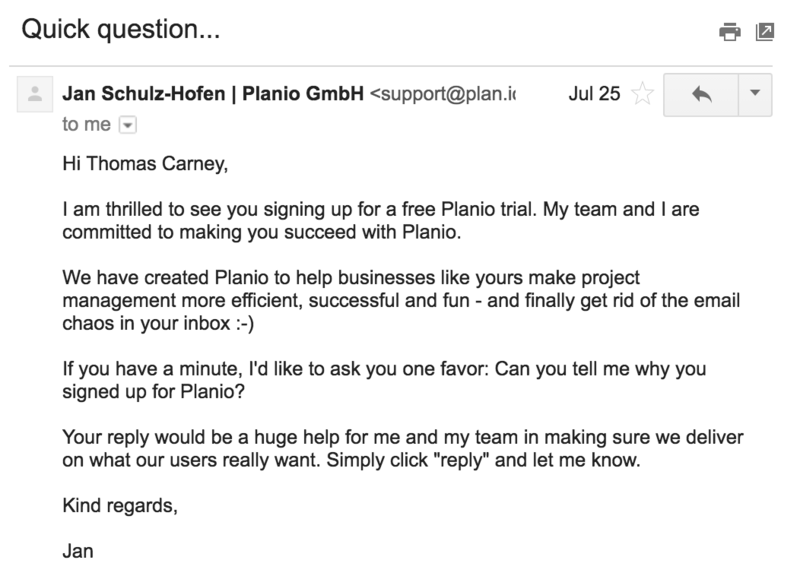 We also ask people why they canceled their Planio account. We’ve created a wiki page listing the reasons and tallying up the totals, so we know the biggest drivers from cancellations. We also link back to each email with the reason, so we can get some context around the cancellations. We’ve found that having a tightly integrated system for product management, operations and customer support really reduces the loop between support and operational issues and resolving those via product improvements. 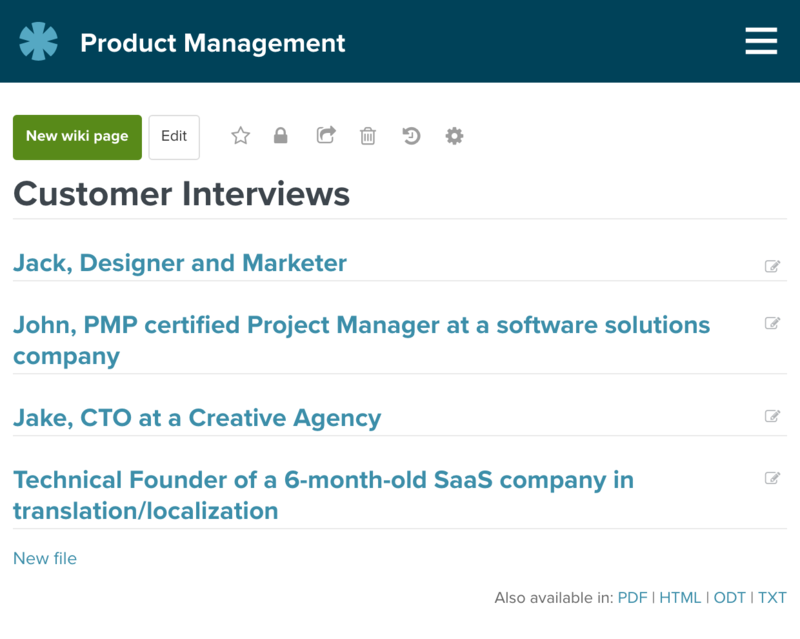 We hope you’ve found some insights into how we use Planio for product management that you can put into practice. You can also check out our specific guides on using the Agile board here or setting up the Help Desk here.